Stop overdoing it for your kids parties. 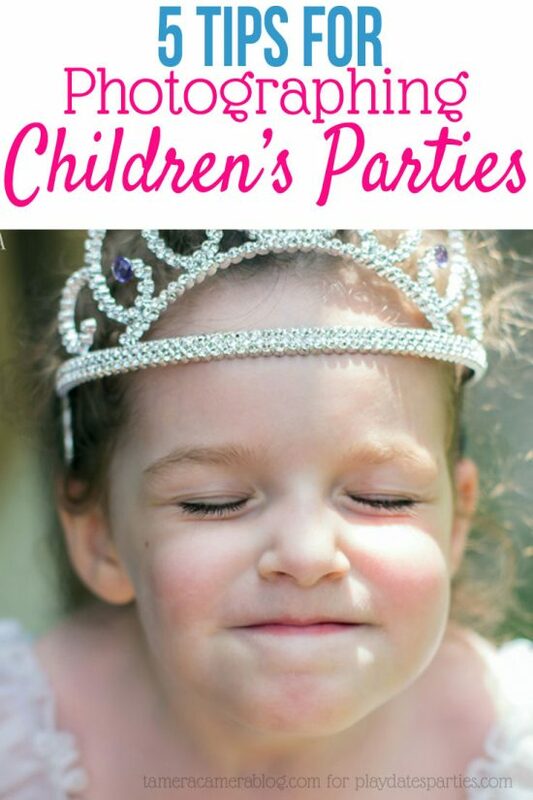 Learn how to budget your party planning time and throw amazing birthday parties too! The decorations were down and the sink was piled with dishes. The party was a wild success, and I sat down on the sofa for just five minutes of rest. Next thing I knew, it was two hours later and I was just waking up. Why is it everyone talks about setting financial budgets for parties, but no one talks about budgeting time? 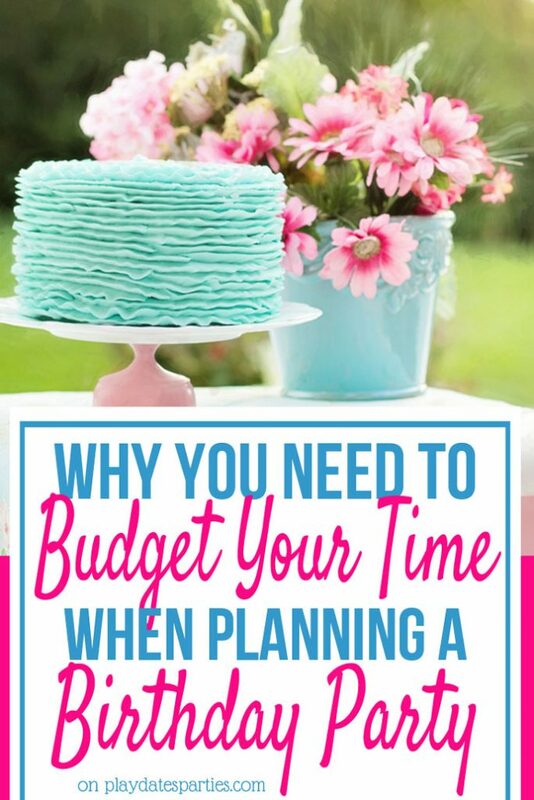 Personally, I think that taking the time to budget your party planning time (especially for crafting and cooking) is more important than setting a financial budget. I know, it sounds crazy. But hear me out. Ingredients and craft supplies are expensive. It can cost nearly as much to make that awesome cake as it does just to buy one from the store. Or you may have to spend time and money on re-making a party display that didn’t work out the first time. I bet you don’t have time for that. 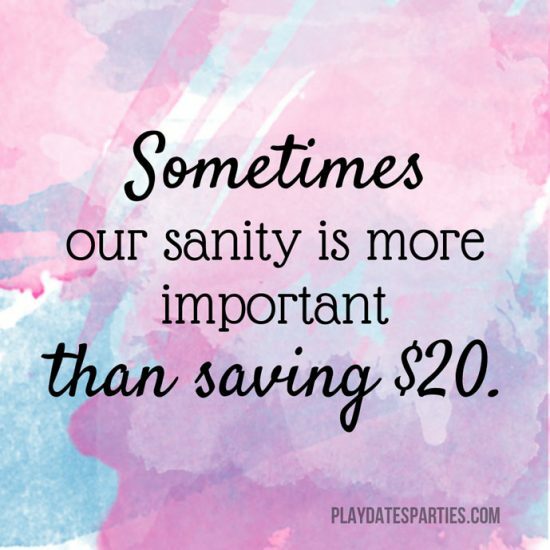 Sometimes our sanity is more important than saving $20. Are you spending your evenings crafting party decor instead of going on a date night with your husband? As easy as it is to say that it’s only temporary, this is a slippery slope. If you love to craft and create, then you’re probably not limiting your crafty evenings to planning parties. Don’t forget, your spouse needs your attention. Are you shoo-ing kids out of the kitchen so you can make that Pinterest-perfect party platter? Remember this: the kids at the party aren’t going to care if that platter is perfect. As long as there’s cake, they’re happy. Not only that but involving your kids in creating their own party decor builds a sense of pride and accomplishment that they won’t get if you do it for them. Let your kids join you in the kitchen for age-appropriate activities. Those memories will far outlast any of the food or decor. Are you staying up late to finish your projects and then getting up early to get the kids out for the day? Research has shown that sleep deprivation has effects similar to drunkenness. Simply put, don’t get so wrapped up in planning a party that you end up passing out as soon as it’s over. I’ve been guilty of every single one of these…multiple times over. And I can honestly say that working yourself to the bone for one afternoon isn’t worth it. No, I’m not saying you need to stop making creative parties. That just wouldn’t be realistic. And if you’re the kind of person guilty of the actions above, then you would probably feel disappointed if you don’t get to make something for the celebration. You don’t need to stop crafting for your kids’ parties. What you need to do is figure out how to fit your creativity into the time you have. So, how do you budget your Party Planning Time? First, you have to decide how much time you have to give. Be realistic. Do you only have time to create your projects after the kids are in bed? Then you probably only have about 5 or 6 hours of total time to prepare. Are you able to take one or two days off to get ready? Then you might have about 15 hours of preparation time. An easy way to cut back on your time budget is to choose to make either food or decor, but not both. If you choose to focus on making decor, order a sandwich platter or some pizzas and then put them on display in a creative way. Or find an Etsy vendor to make delicious and original cookies and treats for the party. If you prefer to focus on making the food, buy all your decorations. There are so many affordable and cute options available these days. I love to find decorations at the Target one spot, or through Etsy. Party printables are also an easy way to decorate without spending too much time. Limit the scope of the party. Limit the guest list. Fewer kids = fewer things to make. Host the party during snacktime so you don’t have to provide a full meal. Develop a party plan and keep track of your time. Now that you know how much time you have available to prepare, and you’ve figured out ways to cut back on the effort involved in preparing for the party, you need to create a party plan that fits both your time and financial budgets. For every project that you plan to do, estimate how much time it’s going to take to complete. Then, figure out how much time you’ve committed yourself to with all your projects and cut back to just the few that are realistic. Believe me, this is so much harder to do than it sounds. I’m the worst at trying to add ‘just one more’ project to my to-do list. I’ll be coming back soon with a post all about how to avoid Pinterest overwhelm and to help you learn how to choose exactly the right projects for your party plan. But in the meantime I’ve created a party planning page that is specifically intended to help you keep track of both your time and your budget. It’s part of the overall system I use to make sure that I no longer end up exhausted by the time the party arrives, and I’m actually able to sit back and enjoy the afternoon. Do you want to actually enjoy your child’s birthday party with him? Do you want to pull together a creative, fun, and unique party without passing out immediately afterward? 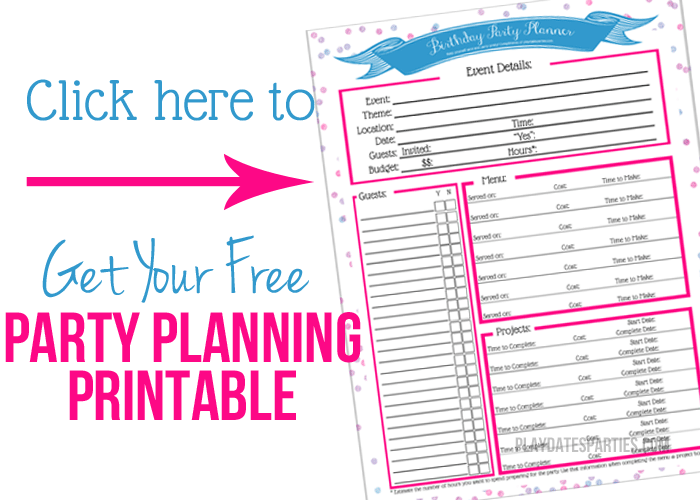 Grab your party planning printable and make sure you budget your party planning time so you can get your sanity back! Do You Budget Your Party Planning Time? Have you ever been too exhausted to enjoy a party? What is your biggest frustration when planning your kids’ birthday parties? what a great way to think about things I believe you are right time and the budget should both be taken into thought when planning. These are all great tips and goodness knows we are all pressed for time. The more efficiently we can use that time the better our party experience will be.